The Manual of Advisory Organizations and Articles of Organization includes details on membership, meetings, officers, committees, finances and more. The Community Research and Development strategy document lays out, in detail, statements of mission and measurement to help the advisory board to achieve the objective of R & D by identifying signature programs and connecting with our community. An Officer’s Commitment in Working with Advisory Boards was prepared for a seminar by Lt. Colonel Danny Morrow with Colonel Rudolph Lanier, Southern Territory. This document presents a guiding principle and process for executing the officer's commitment to the value advisory boards, trust, encouragement, learning, and more. 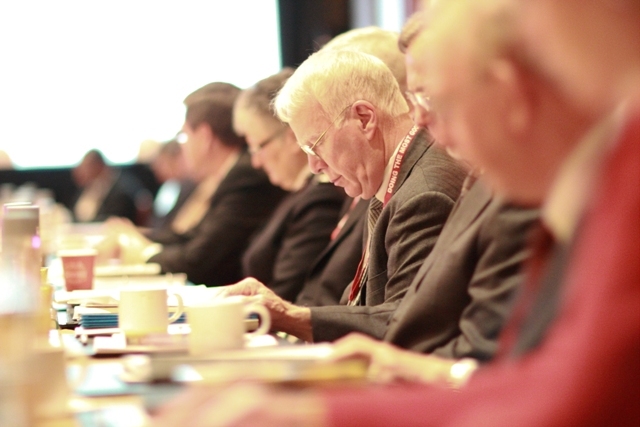 The The Role of an Advisory Board Member document outlines responsibilities and specific areas of expertise that board members can offer in service on the board and reflecting community outreach. This Meeting Evaluation Form is designed to bring about meeting improvement. It is suggested that it is used at every meeting. The Advisory Board Member Installation document, submitted by the Del Oro Division, Western Territory, can be modified to suit the new member installation ceremony. The document provides a brief introduction to the history of The Salvation Army, its founders, the role of advisory boards, and the script for an installation ceremony. By following this document, titled Three Levels of Planning, advisory boards will gain the most good from their time and effort spent on gathering information, analysis, and planning. 1. Doing Something Good: This planning will include, but should not be limited to, budget analysis and program review/analysis, including measuring all activities against the Mission. 2. Doing More Good: For this level, you need a professional consultant, who will facilitate a more thorough process of analysis of all aspects of Salvation Army programming/ministry in your community. 3. Doing the Most Good: This level is the most comprehensive and provides the best results, immediately and into the future. This is the Strategic Plan.